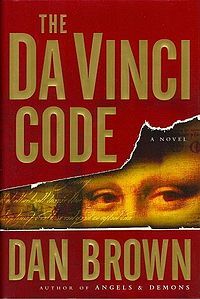 The Da Vinci Code, by Dan Brown, is a 2003 mystery-detective novel. It tells the story of Robert Langdon and Sophie Neveu who investigate a gruesome murder in the Louvre Museum in Paris. It relates to a supposed battle between Opus Dei and the Priory of Sion. The title of the novel relates to the murder victim being found in the Louvre in the Grand Gallery. His body was naked and artificially posed to resemble Leonardo da Vinci’s famous drawing called, the Vitruvian Man. A pentacle is drawn on the victims chest in his own blood and a cryptic message scrawled beside his body. The fictional book has been very successful though, it has come in for criticism on many levels. The New York Times said the book was “Dan Brown’s best-selling primer on how not to write an English sentence”. The author has also been embroiled in legal battles over alleged plagiarism in two of his novels. I thought Tom Hanks who played Robert Langdon, Audrey Tautou and Sir Ian McKellen were very impressive in the film and that managed to transform the written work into something quite acceptable. However, I have to agree with the other detractors as I did feel that the book was surprisingly purile, badly written and I found it quite turgid. Not what I expected. I wouldn’t personally bother reading any others that he writes.